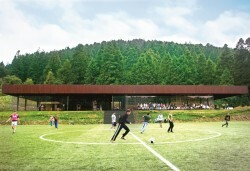 Toluca House was conceived by the desire of the client to have a location outside the city where friends and family can get together to play, watch and live the Mexican national sport, soccer. 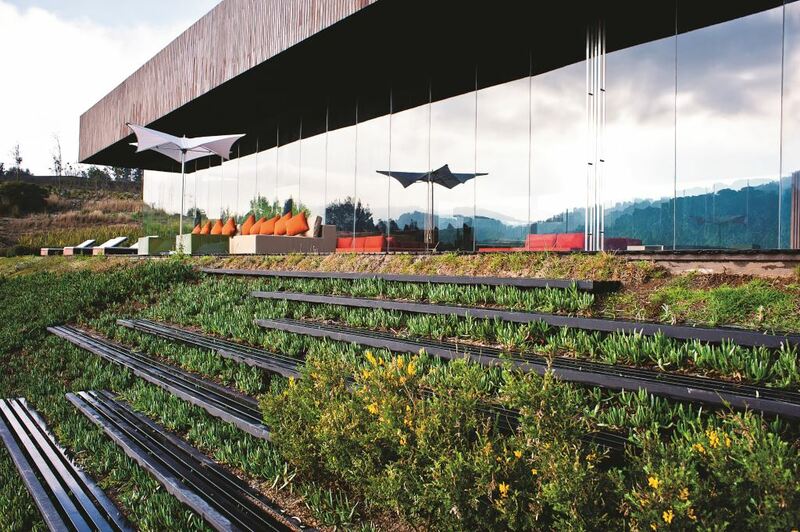 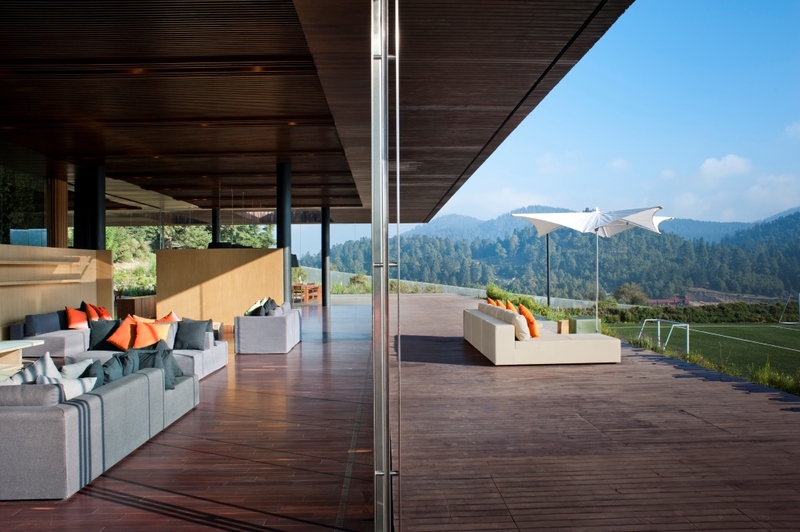 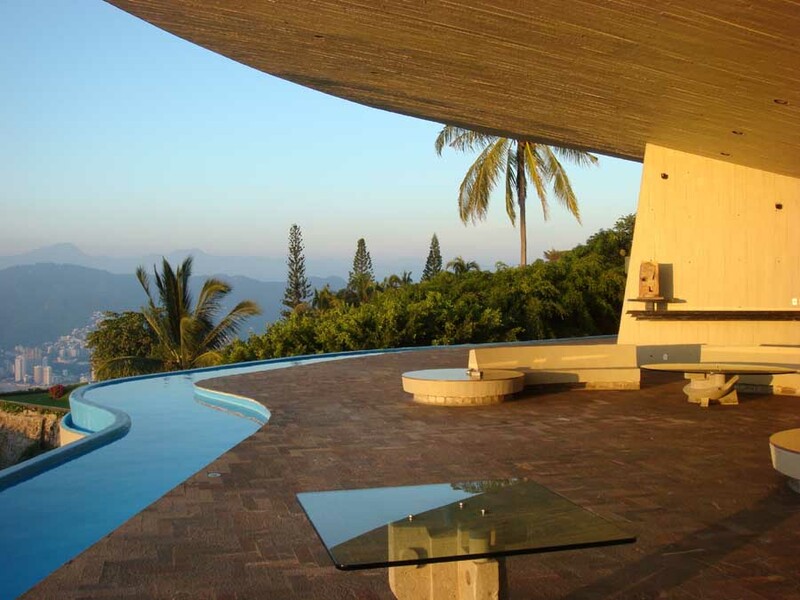 The concept was originated with the idea of having a large structure that hovers above the house, where a massive box integrates the most with its surrounding protecting the existing vegetation; the solution for this was to embed the volume into the mountain creating a great view of the landscape. 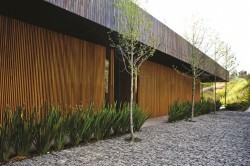 The wooden surface of the house seems to be floating, while the green roof acts as a rainwater concentrator. 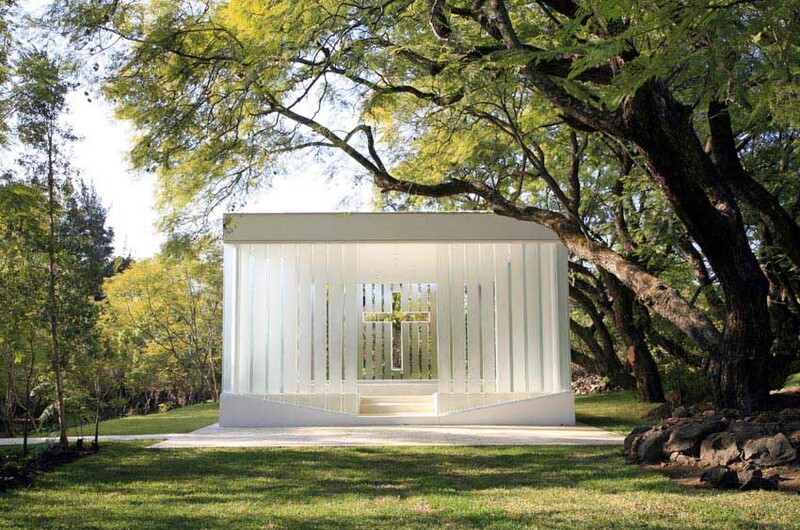 Generous spaces allow events to be organized with plenty of guests in an extremely rational plan, which contains a living room, dining room, play area, movie projection room, spa, kitchen, and a vast. For the client as for our office was a priority to create a sustainable and green house. 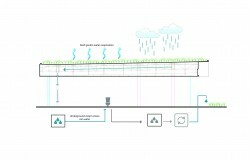 We decided to have a green roof with native plants and a facility for collecting rainwater which is then used for irrigation as well as provision of toilets. 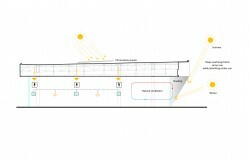 The orientation of the house allows for maximum energy savings. 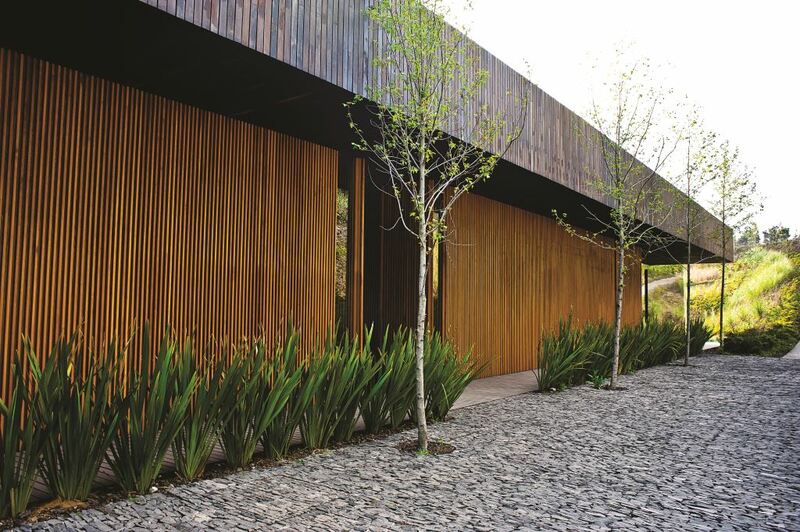 We decided to apply the same rational criteria for selection of materials in which predominate wood, steel and glass. 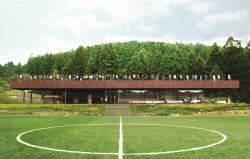 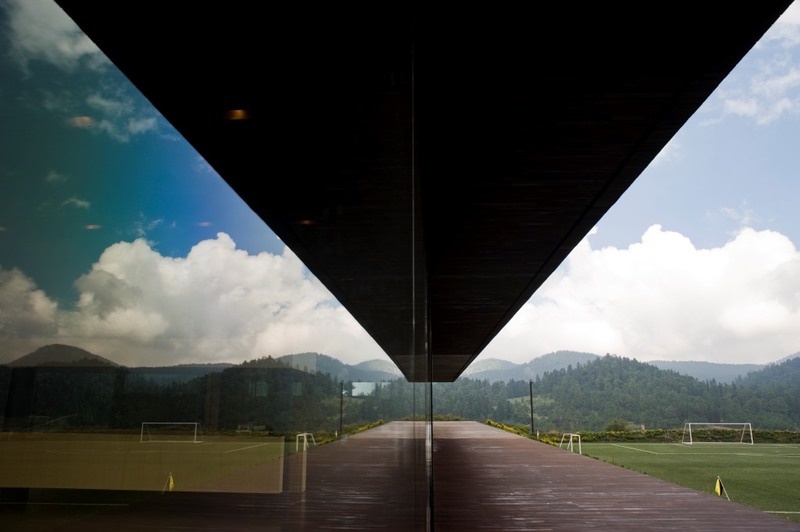 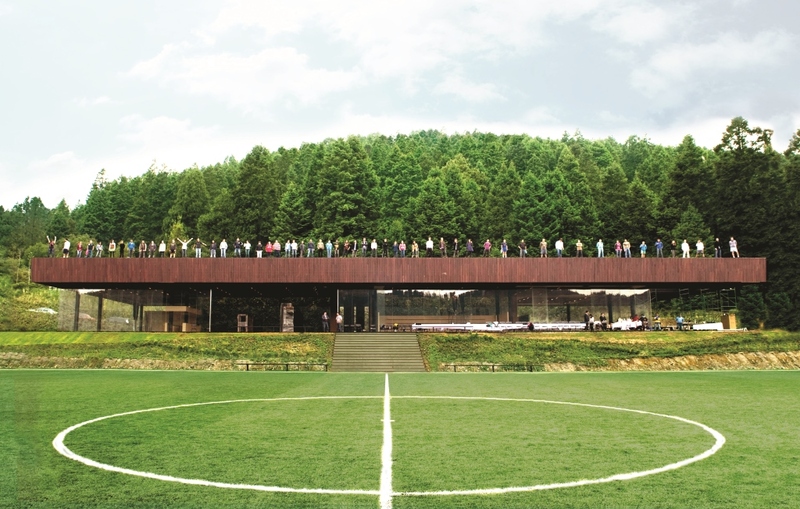 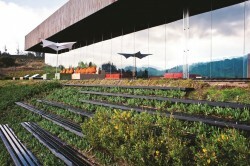 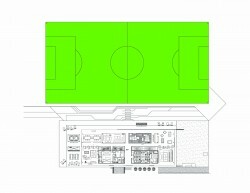 One of the main characteristic of building is the large window that affords a panoramic view onto the field and valley. 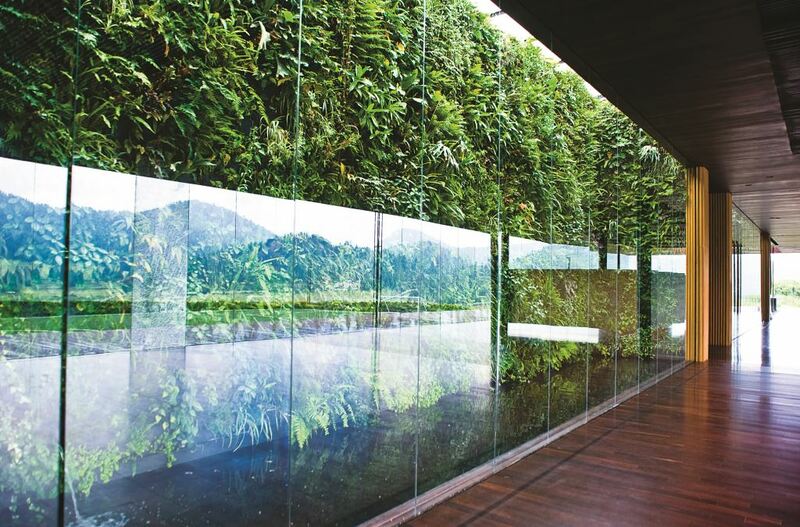 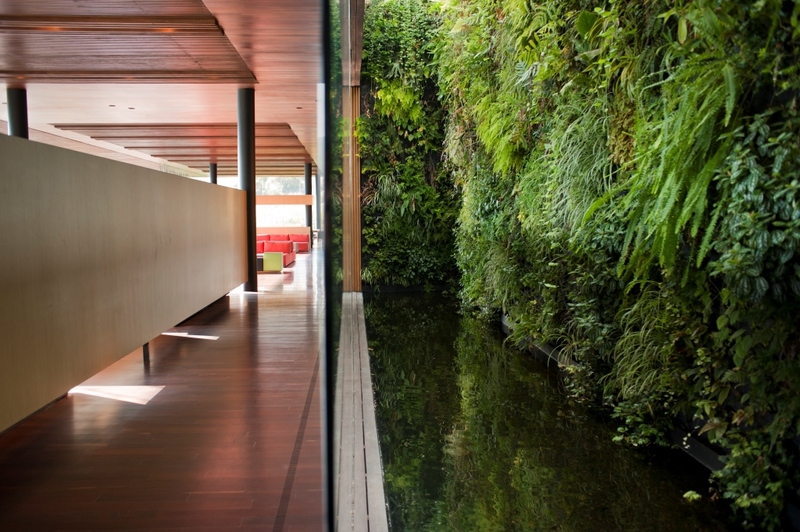 Also the interior vertical gardens located in the main hall to allow a natural link between the interior and exterior.